Someone posted in a blogging group on Facebook yesterday “When all of our friends are getting married and having children, and you’re just trying to go viral”. And man, did I have a good ol’ cackle. As a blogger and a creative entrepreneur, its easy to get fixated on the idea of going viral. Let me just say this first: I don’t think the idea of “going viral” is the be-all-and-end-all. Long term, you want good quality traffic (with a low bounce rate), an engaged audience, to be positioned as an expert in your field, and to have a ever-growing list of subscribers. It is however a wonderful moment when you realise that one of you pins has been shared across Pinterest thousands of times. Yes ma’am, as I was sipping on my cup of tea this morning I saw these incredible stats. I was aware that the pin was performing quite well from looking at my Google Analytics earlier this year, however some recent repins from some influential accounts has seen these stats skyrocket. Had a good ol’ look? Great, then let’s get started! The new optimum size set by Pinterest is 600 x 900 pixels. Create a template in Canva or Photoshop that is sized in the 2:3 ratio. Now, every time you create a new blog post, customise this template so all of your pins are the same size. If you’re not sure what your readers would like, ask them! Why not ask them on Instagram or create a poll on Facebook? Go to your Google Analytics and have a look at which posts are performing best. Now, have a think about what freebie you can add to the post. Remember, it doesn’t have to be big. Now I want you to recreate the Pinterest graphic for this post (sticking to the 2:3 ratio) and add the words “includes free _____”. An example could be “How to Declutter Your Home In 4 Days (includes a free planner!)”. When I first pinned my graphic to Pinterest, I was sure to add a long, keyword rich description. This is known as “SEO” or “Search Engine Optimisation”. In a nutshell, I “optimised” (added keywords to) my pin’s description so it was more likely to appear in the Pinterest search results. 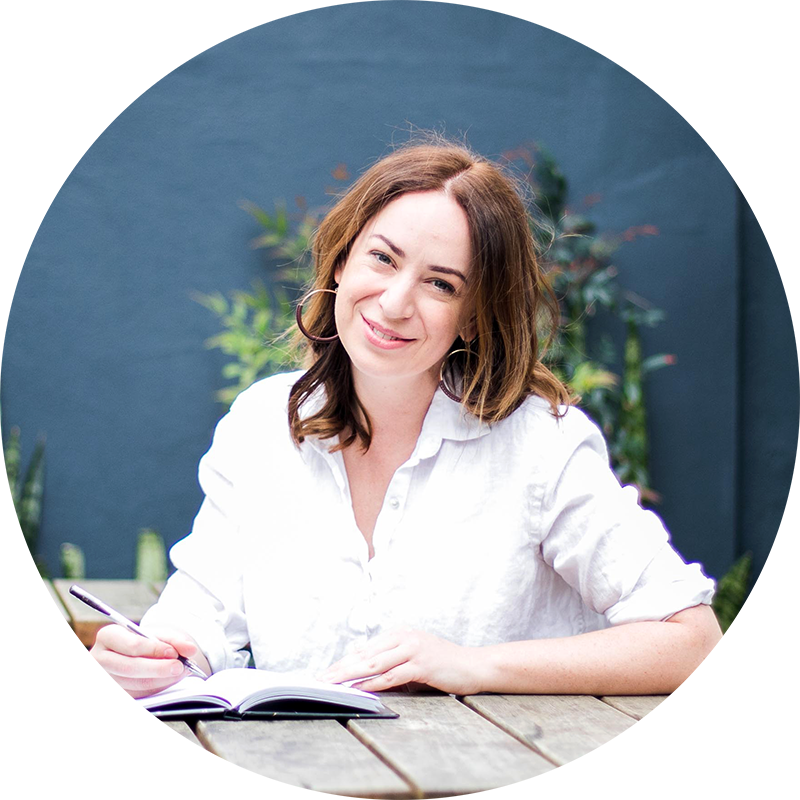 There are a whopping 500 characters available when writing your description for your Pinterest pin, so there’s plenty of opportunity to add keywords relevant to your niche. 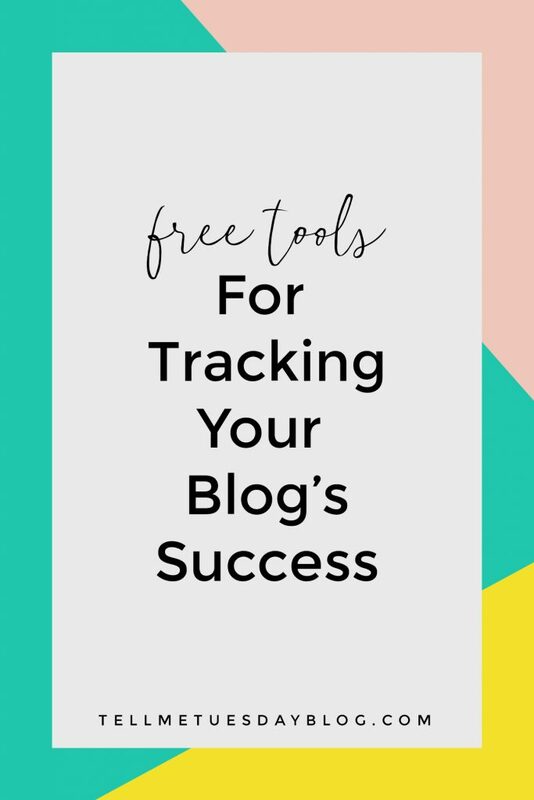 My pin’s description went as follows: Free Tracking Tools for Your Blog | Want to know how successful your blog’s social media campaign or marketing strategy has been? Here’s some free tools to help you track your conversions. Think of the Pinterest search engine just like Google. Now, what do you want your target audience to be typing into the search bar in order to come across your pins? If you’re stuck for what keywords to use, go to Pinterest and type into the search bar your post’s topic. For this example (below) I used the topic “Corporate Fashion”. The Pinterest search engine will then display common words used to refine the search results for this phrase (in this example you’ll see keywords such as “women’s”, “business”, “summer”, etc). If any of these keywords are relevant, be sure to include them into your pin’s description. Now, I want you to go to your Pinterest account and optimise your pin’s descriptions using keywords. Remember, it’s important that these descriptions have a natural tone, so be sure to write in proper sentences. Hint: Just like social media platforms like Instagram, hashtags have come to Pinterest. Adding 2 to 3 on-brand hashtags is a great way of helping users discover your content. Group boards are an excellent way of targeting a broader audience. I know a lot of you have struggled in the past with being accepted to group boards, but it’s well worthwhile persevering. Rumours have been flying around recently that group boards are detrimental to your account, however this blanket statement isn’t 100% true. Group boards are still an important tool, however you should only join high quality boards. This means that the board has an even re-pin count for all posts. For example, if most pins have a repin rate of between 20 and 30, then all pins with less than 20 repins should be deleted by the board owner. Connect with those in your niche and go on the hunt for good quality group boards. If you’re part of a Facebook group relevant to your niche, post a shoutout. Once you find a board, email the administrator and ask to be a contributor. Remember to be genuine in your approach (that means writing more than “Hey, I want to join your board”), and don’t forget to include a link to your Pinterest profile so they can see all of the amazing pins you have curated on your boards. If you haven’t heard back form the board administrator in a week, follow up with a polite email, however if they don’t respond, move on. Once you’ve been added to a group board, remember to follow the rules, don’t be spammy (generally no more than 1 pin per day is standard) and be sure to repin the work of other members. Remember, it’s a community y’all. If you’re using a program such as Tailwind or Boardbooster, pin your post once to the group board, then set it to be repined again to the same board in 4 weeks time. Want to join my group board? You can find out more here. Ok, so yes this is another marketing term, but it’s one you should get to know. Evergreen Content can be described in two words: timeless and relevant. Do you think your target audience or your peers are going to share a post that’s out of date, or no longer relevant? Hell no they’re not! Since I first published my post about the tracking tools over a year ago I have updated it twice–technology had changed, some programs were no longer free and I had discovered new tools which I knew my audience would find helpful. By investing in your content, you’re also investing in your audience, and this is something that won’t go unnoticed. Look at your top performing posts on Google Analytics, and review your post’s content. If the post contains information is no longer relevant, update it! At the root of any successful marketing strategy is a solid foundation, and one essential for your blog these days is the ability to easily share your posts. Enter my new favourite plugin, Social Warfare which adds social media share buttons quickly and easily to my blog posts (plus, they look so damn good). Remember, you want to make the ability to share your rockin’ content as straight forward as possible for readers so make sure it’s easy for them to tweet, pin, and share with just the click of a button. 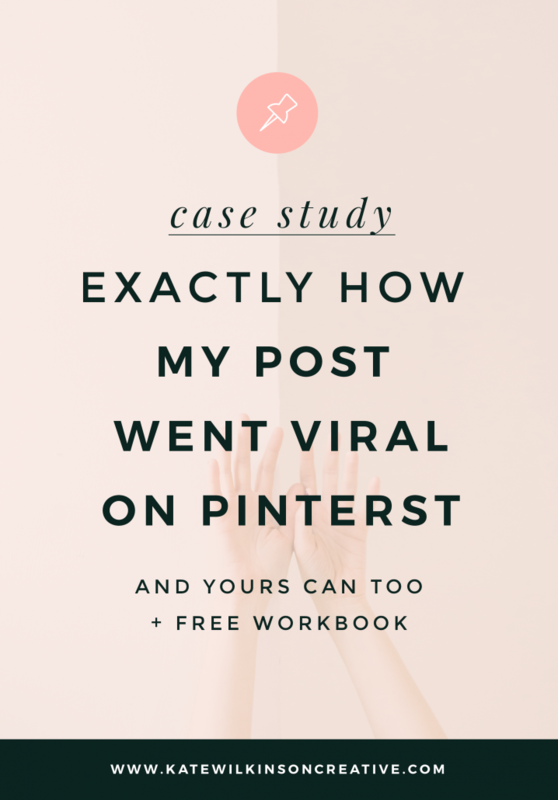 Are you using Pinterest for your biz? And if so, is it helping drive traffic to your website? As always, I L-O-V-E hearing from you, so share your thoughts in the comments below. Amazing! Thank you for this. That comment about going viral made me laugh as well haha! Isn’t it the greatest?!? There’s so many amazing (and hilarious) women I’ve been fortunate enough to connect with on this blogging journey. Thanks for stopping by! I’ll have to try this! Thanks so much for sharing your knowledge! I feel much more knowledgeable about blogging in 5 minutes of reading your blog than I was before. 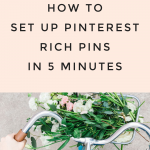 There were so many take back actions for me to start including taller not wider Pinterest pins – and the best part? It wasn’t boring to read! I’ll be bookmarking this page for sure! Gosh Jacqueline, thank you so much for your kind words! Let me know how you go! I love these tips and will be trying them out myself, great post! Thanks girl! Let me know how you go! Great advice that I will be adding to my blog! Thank you. You’re very welcome Krista! Report back when you’ve implemented the changes– I’d love to hear from you! Awesome tips and even more awesome insight for that plugin!! Gotta get it!